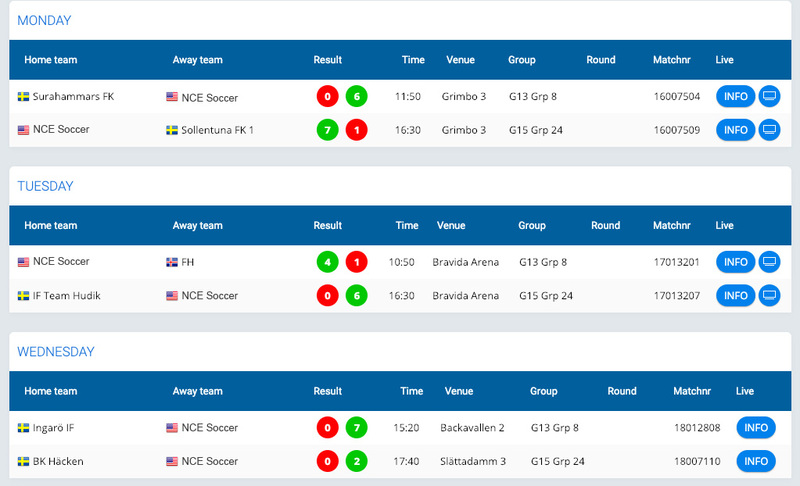 What is the Gothia Cup? 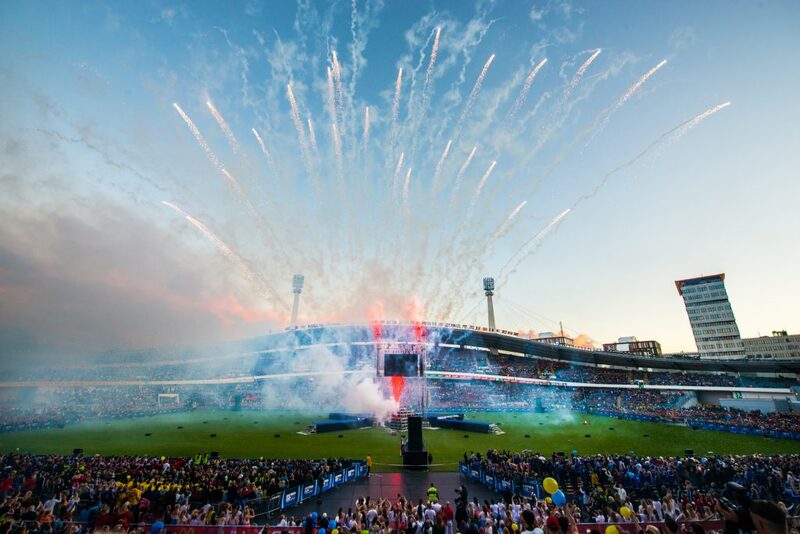 “Gothia Cup is the world’s largest and most international youth football tournament. 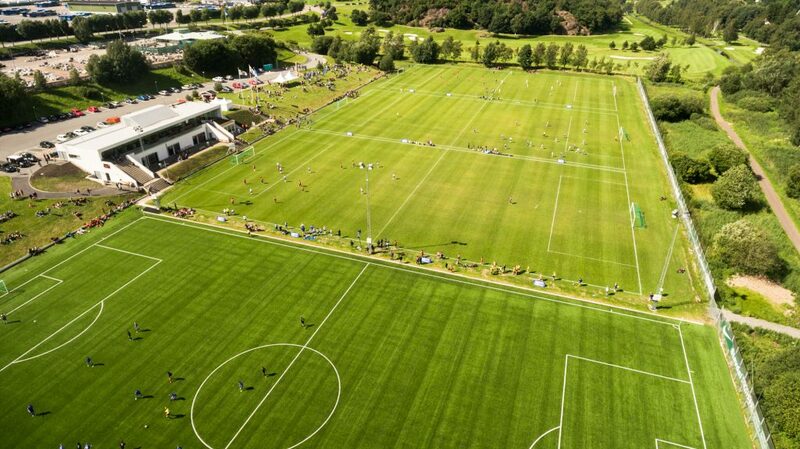 Each year, around 1700 teams from 80 nations take part and they play 4500 games on 110 fields. It’s the teams, and participants from around the world that make the tournament unique. A meeting place for the world’s youth, irrespective of religion, skin color or nationality, with football as the common denominator. Our organization consists of eight full-time employed staff and during the tournament works more than 2 500 people. 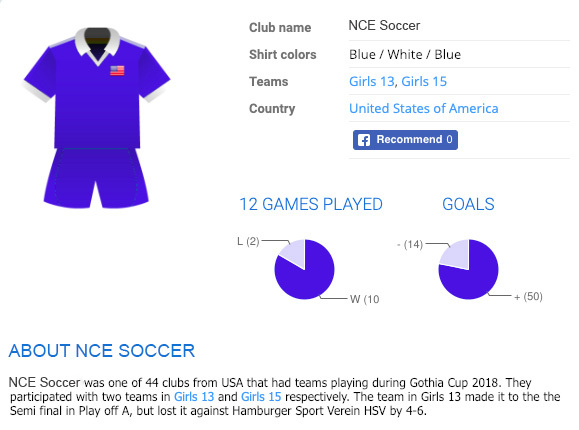 Gothia Cup was first held in 1975. 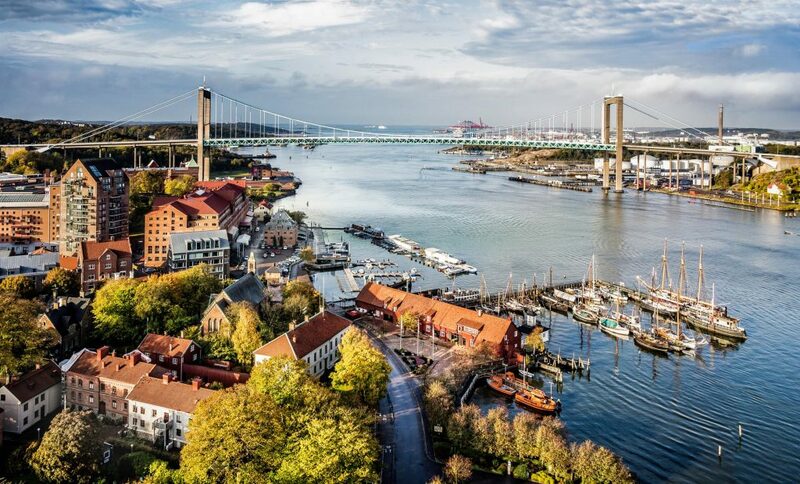 The tournament was started by the football associations BK Häcken, GAIS and a local newspaper but has been owned since the early 80’s entirely and solely by BK Häcken. 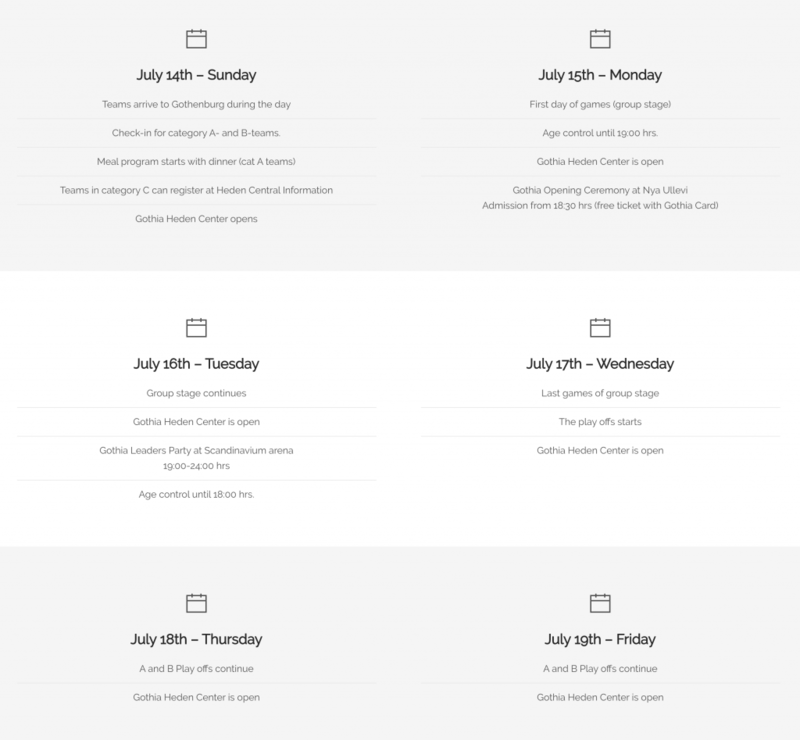 Through the years, almost a million players from a total of 146 countries have participated in the tournament. 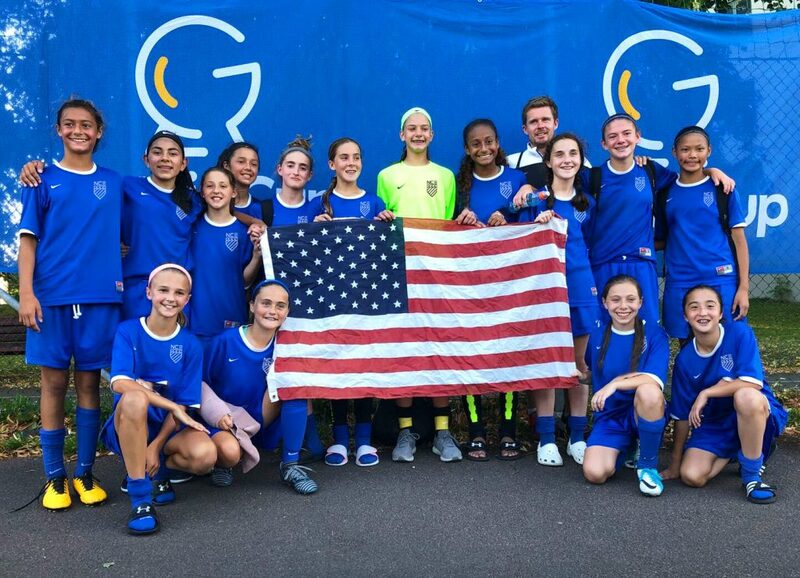 Getting involved in children’s conditions other than in the football field and outside Sweden has always been an important part in the Gothia Cup. Our schools in Congo, Kim Kallstrom Trophy and SKF’s Meet the World are an example of that. 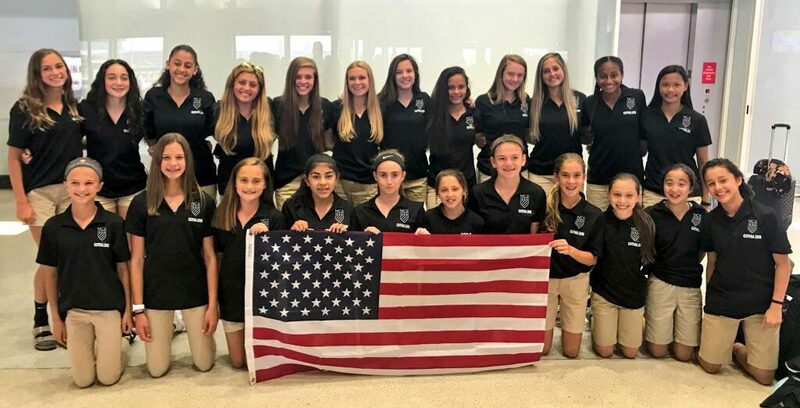 Each year selected NCE U13 & U15 girls represent the US at Gothia Cup. 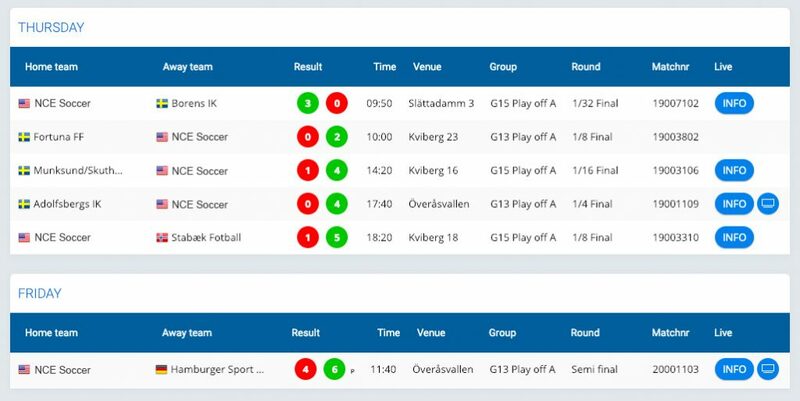 Stay updated on the Gothia Cup via our social media.